Vibrant tween bedding selections inspire great bedroom ideas. Focus on the tween bed. Have you ever brought home a really gorgeous mattress bedding or bed covers and seen your room magically transform? Doesn’t the bedroom suddenly take on a different feel altogether? If you are a regular of the HGTV channel, you know what we are talking about. Are you planning to re-decorate your tween’s room entirely? Maybe the toddler bed needs to be replaced. Perhaps his room needs extra seating for all his new friends. Take a quick look at the tips we present on Tween Rooms. Then come back for better bedding tips. 1. Tween bedding of Your Kids Preferences. Kids at this stage are just figuring out their social skills. Peer pressure is high as is the need to blend in. With friends coming home for sleepovers and parties, the tween room plays an important role in his life. Give it the due importance and outfit it in the elements of his choice. Remember, this is your child’s room and must reflect his personality, not yours. Have you had a look at the vast collections of girls and boys bedding flooding the markets today? There are so many great designs and color schemes that choosing just one from the lot is difficult. One way to reduce the choices is to select the theme of the room. We have spoken of these initial steps in Basics of Decorating. 3. The Better Bedding for your Tween Bed. Quality is an important element. Your child’s skin touches the bedding directly. Ensure that the bedding you choose is of good quality. If you need advice on thread count or durability, read our guide on buying bed sheets and kids comforters. Invest in several bed sheets of solid colors that match the rooms theme. This will ensure that your child will always have fresh linen for a refreshing sleep. 4. Tween Girls Bedding Selections. Your little girl is at an important stage in her life. She has definite likes and dislikes. Keep the communication channels open by listening to her opinions and decorating her room in colors and patterns she enjoys. 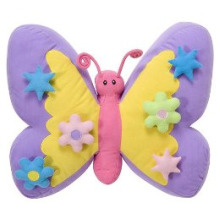 You have a vast selection of girls bedding to choose from. Circo Bloom Bedding is a refreshing addition. A cheerful bedding would be ideal for a girl who adores bright colors. 5. Tween Boys Bedding Selections. This is a crucial phase for boys too. They want to show their masculine interests. 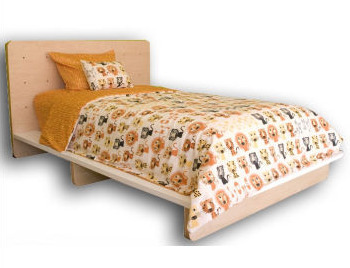 An Under Construction or Robo bedding is sure to get you the rare hug from your young man. There are many more boys bedding choices to suit his interests. The Shadow Box Twin Bedding gets our seal of approval too. 6. Shared Bedroom Decorating is a Cinch. If the siblings are sharing the same room, decorating it by purchasing complementary bedsheets and comforters is all you need to personalize each kids space. Exotic animal print sheets and kids sports bedding are an all time favorite. 7. Focus on accent pillows. When decorating with tween bedding for kids room include an accent pillow. 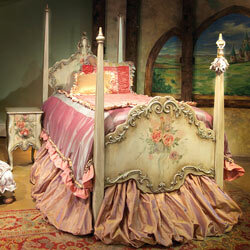 It is the focal point of the tween bed and is now available in such adorable shapes, colors and sizes. A nautical throw pillow instantly jazzes up the sailor theme. This oversized rose accent pillow is a sure favorite for all girls. 8. Keep it Simple – Buy Bed in a Bag. Let’s face it. Most of us are short of time. We need matching bedding sets right here right now. The good news…now we can. Buy bed in a bag in delightful themes such as Circo Bow Wow Meow and American Sport. You can go one step further and invest in a Bedding Collection Set instead. These include comforter, sheets, bedskirt, pillowcase, sham, square pillow, valance and drapes to complete the entire look of the room in one purchase. 9. Eco-Friendly Can be Fun too. If you thought eco-friendly linens are a boring white or cream, it is time to re-think. Although we would suggest that you horde up on the solid color sheets as well. Extra bed sheets are always handy. Looking for style? Check out the Aequorea Organic Bedding Collection in Chocolate and Silver. Shopping for tween bedding is a totally fun experience for you and your tween. Go all out and re-visit your childhood as you bond with him. Find the better mattress bedding for your tween bed and see the room decorate itself.